SA-Dakar Rally: Recap - Robby Gordon "Ready to start talking about 2013". 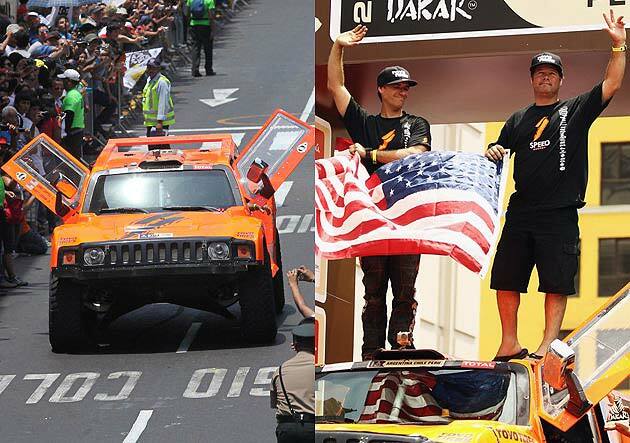 At the conclusion of the 2012 Dakar Rally, US-drivers Robby Gordon and Johnny Campbell left their mark on the final stage by finishing 1st in the capital of Peru. This marks the third stage win for the American duo and Team Speed's fifth of the rally. Gordon posted 10 top-5 stage finishes to finish in 5th place overall. Even though it wasn't Gordon's best finish (third in 2009) of his rally career, it certainly was his best performance. "It's all about speed. Our Hummer was definitely capable of winning the rally. 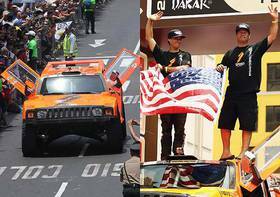 I just made a couple of mistakes that cost us, but I'm happy to walk away on a good note and really ready to start talking about 2013" said Robby Gordon after the Rally. 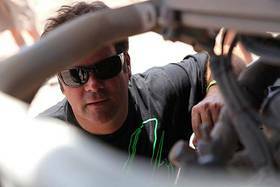 As Gordon commented about his effort in 2012, he also praised his new navigator, Johnny Campbell, "Johnny is such a great guy. Not to take away from anyone else because I've been lucky to have good navigators in the past, such as Kellon Walch and Andy Grider. Johnny really helped me stay focused, and I think he helped from a management side of things to bring us to a championship caliber team." Gordon also thanked his sponsors and fans. "I want to thank all of our great sponsors in all of the racing series we run throughout the year. Without them, we wouldn’t be in a position to do this. I also want to say thanks to all the fans all over the world, and a special thanks to the fans in South America. They really seem to love racing, and they made us feel at home wherever we went. I always try to have fun racing, and make it fun for the fans. I hope we did." The Team´s story was all about redemption. By Stage 9, they would find themselves only a few minutes behind the overall leader. Unfortunately the distraction of the dispute about his air inflation system made it hard for Gordon and his team to stay focused on the main goal for the overall win. 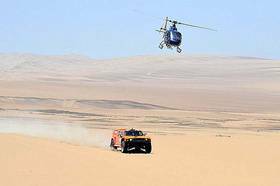 Despite the adversity, the team walks away with five stage wins between Gordon and Al-Attiyah, making up for what was such a disappointing 2011 rally.